Kryptonian Warrior: Super Mario And Luke Skywalker As Women? Whilst perusing the Internet yesterday I came across two pics of famous characters who have had their gender swapped by their respective artists. 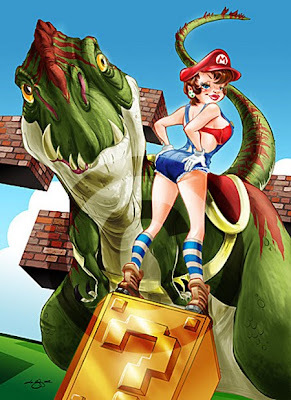 Can you imagine the Mario games with a female lead (*cough* Great Giana Sisters on the Amiga *cough*)? Or the original Star Wars films revolving around a female Skywalker? Well if not these pics should help, I found them quite amusing.